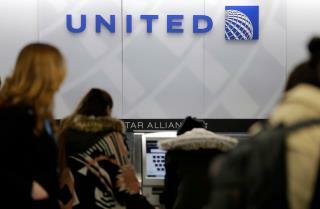 (Newser) – A Nigerian mother claims she and her family were booted from a United Airlines flight because of what they called her "pungent" odor. Per the Houston Chronicle, the mother has filed a civil suit alleging discrimination on the part of the airline. The suit claims the woman, Queen Obioma, and her children were boarding a San Francisco-bound flight in March 2016 when Obioma arrived to her seat to find it occupied by a man, who was white. When the man declined to move, Obioma eventually agreed to take a different business-class seat, according to the suit. Obioma says she went to the bathroom before takeoff and upon her return the man blocked her from sitting back down. The suit claims Obioma was then escorted from the plane and informed it was because of her body odor. Years ago there was a fellow from Africa working in my office. He had a strong, offensive odor and was counseled by HR after many people complained. I saw him one time rubbing some kind of oily, cream from an old jar on his hair. Queen Obioma? Are you serious?! I'm sure she'll play the race card.